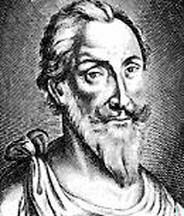 Jacques Mauduit (16 September 1557 – 21 August 1627) was a French composer of the late Renaissance. He was one of the most innovative French composers of the late 16th century, combining voices and instruments in new ways, and importing some of the grand polychoral style of the Venetian School from Italy; he also composed a famous Requiem for the funeral of Pierre de Ronsard. 1 scores found for " Mauduit "